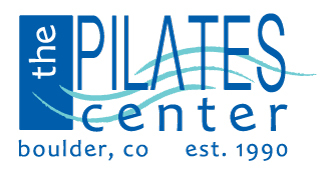 Her nursing education and experience in vascular surgery gave her a profound perspective to the physiological benefits of the Pilates method as it pertains to preventive health, as well as, healing and rehabilitation. Lindy is experienced working with various client ages, professional backgrounds, and acute or chronic conditions. Lindy is extremely passionate about teaching and helping people reap the healthful benefits of Pilates for a peaceful, centered, and joyful life. Lindy appreciates Pilates for keeping her conditioned for her other passion in life, which is mothering her sweet little three-year-old boy. Alana Isiguen is originally from North Carolina and has always been extremely interested in all aspects of movement. She first encountered Pilates at the age of 12 while training and apprenticing with the North Carolina Dance Theater under the direction of Jean Pierre Bonnefoux and Patricia McBride. Alana graduated with honors from New York Universityâ€™s Tisch School of the Arts, where she received her BFA in dance and studied abroad on full scholarship at the Salzburg Experimental Academy of Dance in Austria. After studying Pilates with master teachers Kathy Grant and Blossom Crawford at NYU, Alana went on to complete a 950-hour comprehensive Pilates certification through The Pilates Center via InsideOut Body Therapies in Durham, NC under the direction of Deborah Matthews, PMA-CPT and Mischa Decker, DPT, PMA-CPT. She is currently pursuing her MFA in Dance at the University of California, Irvine in dance pedagogy, researching the importance of somatic practices in ballet training. Through Pilates and dance, Alana enjoys sharing the joy and benefits of movement with people of all ages and walks of life.